The Great Blue Heron Ardea herodias is the largest heron in Canada. Adults stand over 1 m high with their necks outstretched, and they weigh around 2.5 kg. This bird gives the general impression of being tall and thin: its wings, neck, bill, and legs are long. 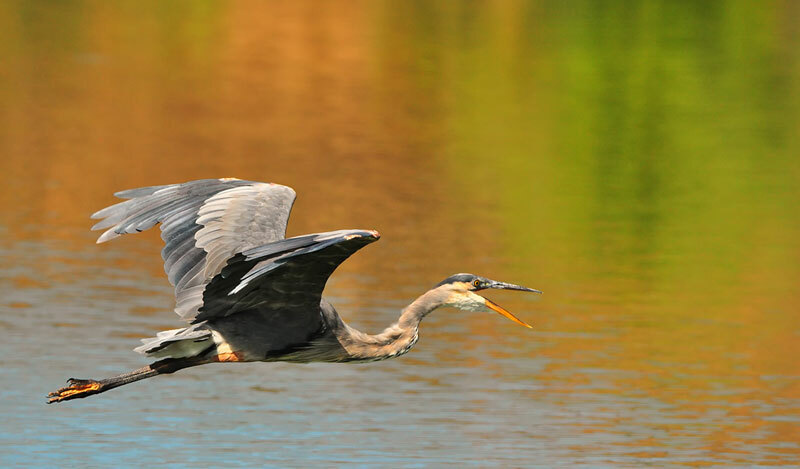 The long limbs dictate the heron’s movements: it flies with deep, slow wing beats, and on land, or in the water, it walks erect with long strides. In flight, the neck is doubled back, the head resting against the shoulders, and the long legs held straight behind (see sketch). 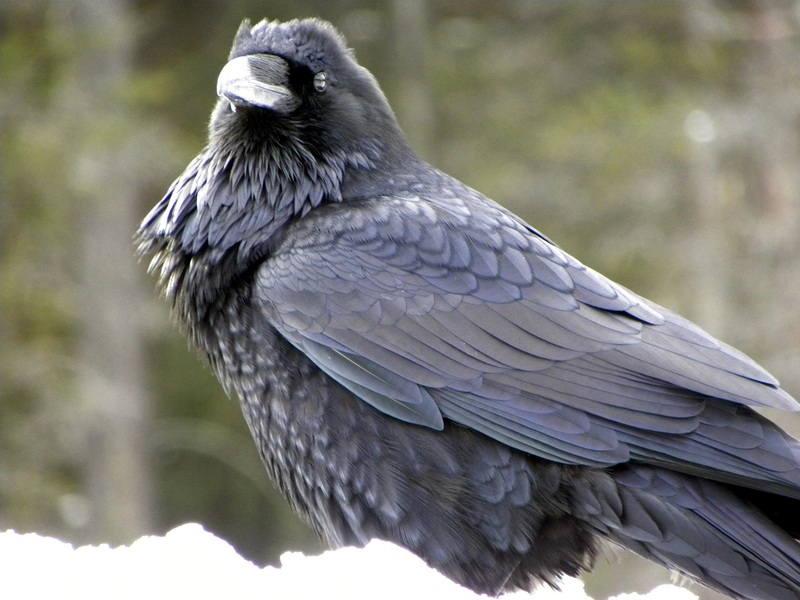 The top of the adult’s head is white with a black stripe on each side extending from the yellow eyes to slender black plumes at the back of the head. Its back is greyish blue, and its breast is white streaked with black. 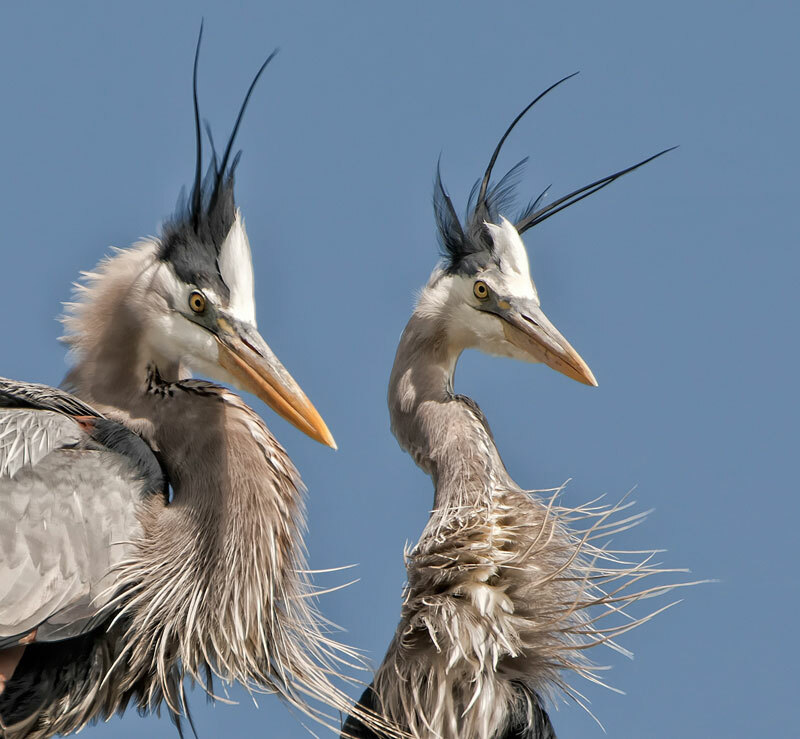 Breeding herons have long plumes on their breasts, flanks, and backs. 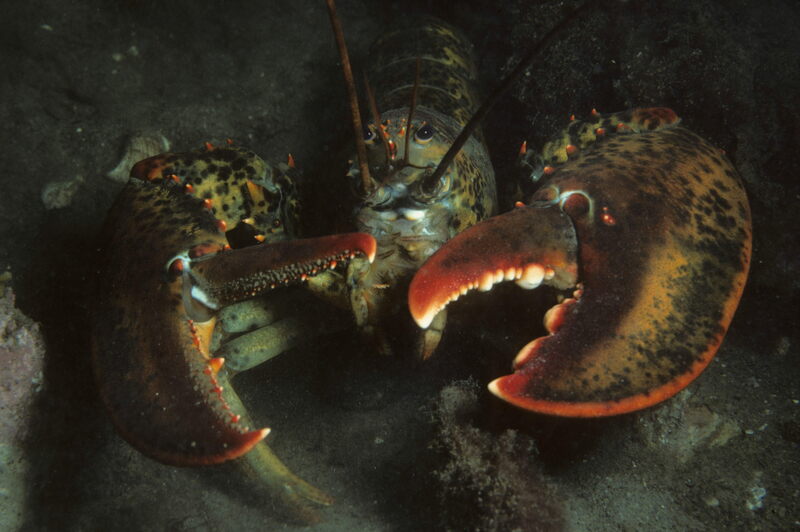 The sexes look much alike, but the males are usually bigger than the females. From birth to two years, Great Blue Herons moult, or replace old feathers with new, four times. 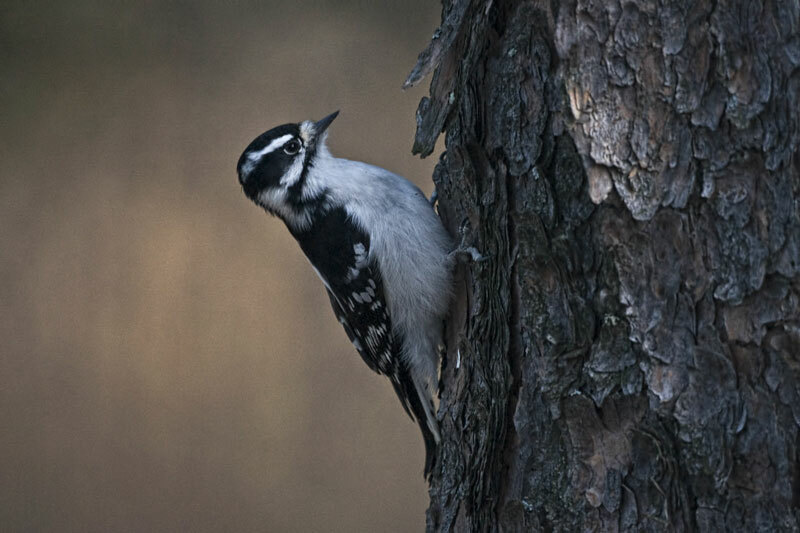 During the first year, juveniles have grey crowns and grey wings flecked with brown, and they lack plumes. Adult Great Blue Herons show brighter colours during the breeding season, moult some plumes in summer, and change to duller colours in winter. Great Blue Herons live long lives, some as long as 17 years. 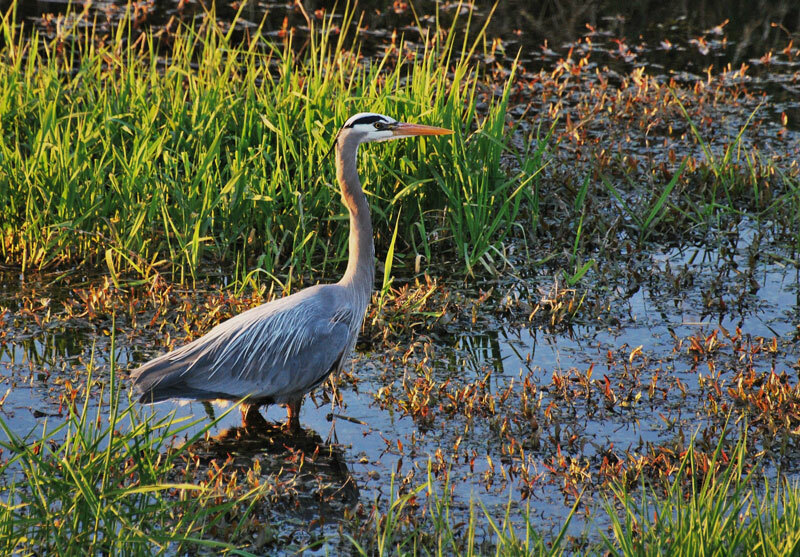 The Great Blue Heron is generally silent, but it does have a repertoire of noises. 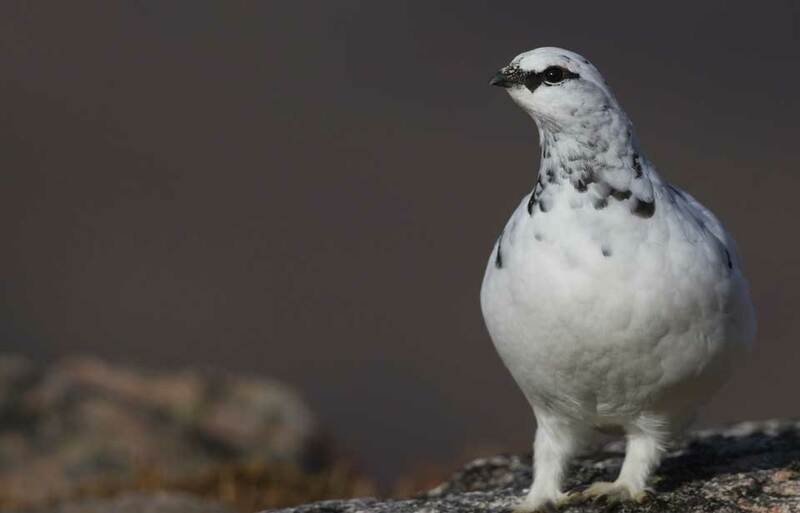 It gives a frawnk sound at breeding colonies when alarmed, a gooo call at the end of one of its courtship displays, an occasional ee call when flying, and sometimes a series of clucks when foraging. The heron also utters a roh-roh-roh sound when it approaches the nest, perhaps to alert its mate to its arrival. 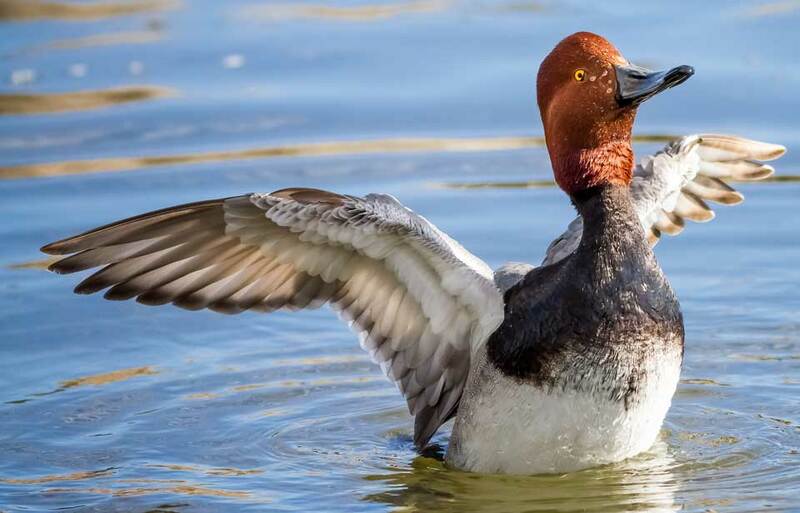 Part of the males’ courtship displays are loud bill snaps. 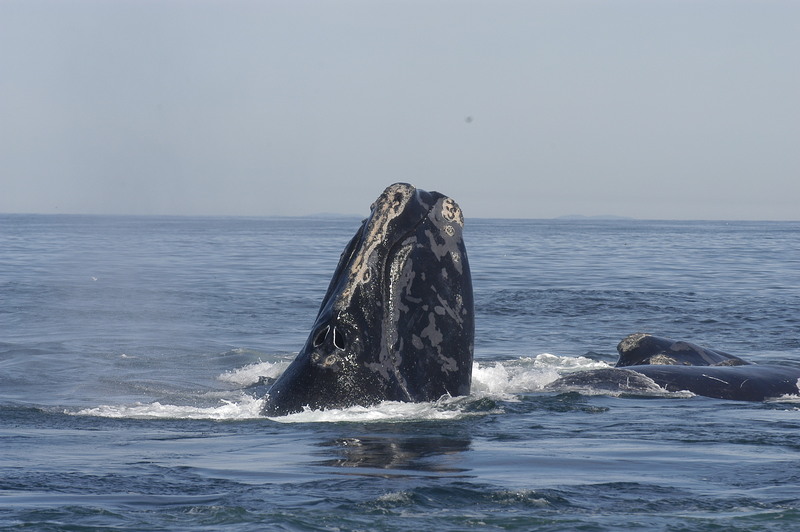 Females snap bills when they are approaching unmated males and after they have formed a breeding pair. It is also common for paired birds to engage in a rapid side-to-side tapping of each other’s bill tips. 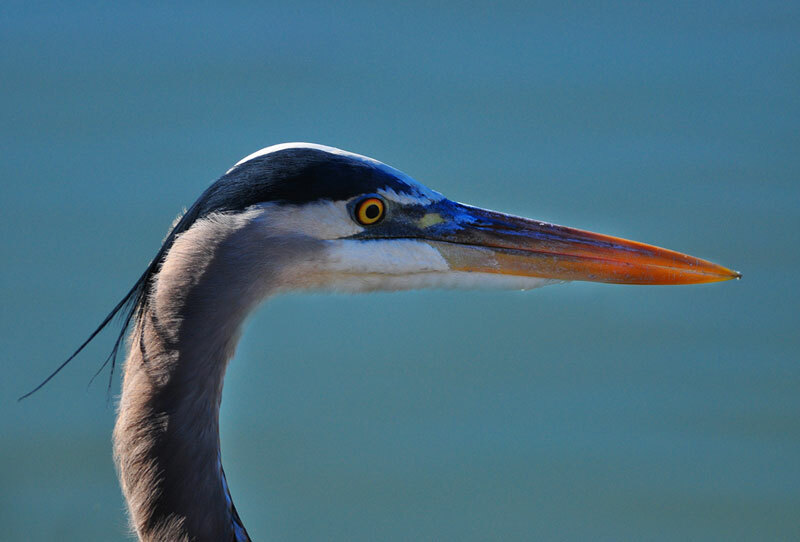 Great Blue Herons forage in marine coastal environments and in freshwater habitats, but nest on islands or in wooded swamps, where few mammals or snakes can prey on them. The birds sometimes nest alone, but often do so in colonies consisting of a dozen to several hundred pairs. 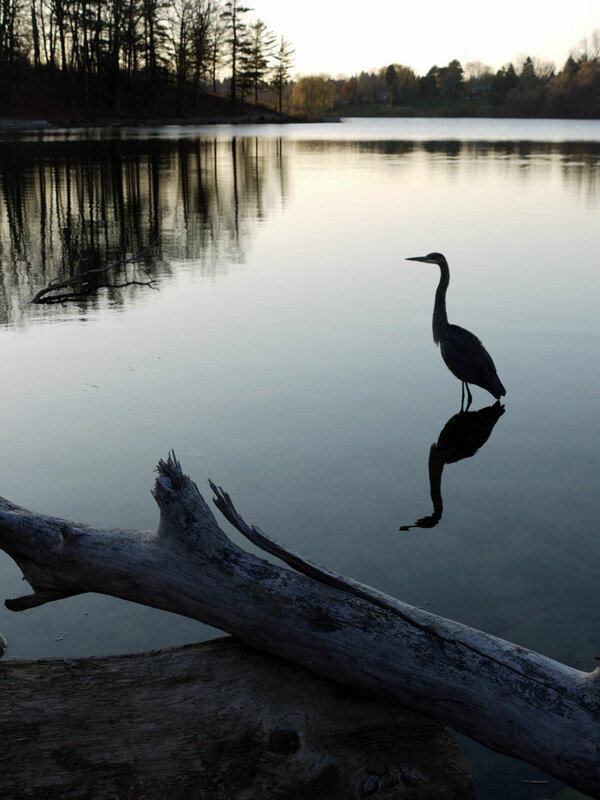 Scientists do not know precisely how herons choose whether to be sociable. It seems that advantages to colonial behaviour include better defense of nests and greater chance of discovering mobile schools of fish: once one heron finds a good foraging spot, others may follow it to the same location. The Great Blue Heron has an array of displays. Some of them are seen on the foraging grounds, as, for example, when two herons approach each other, each extending its neck fully and tilting its head over its back, with the wings partly opened and the body plumes erect. 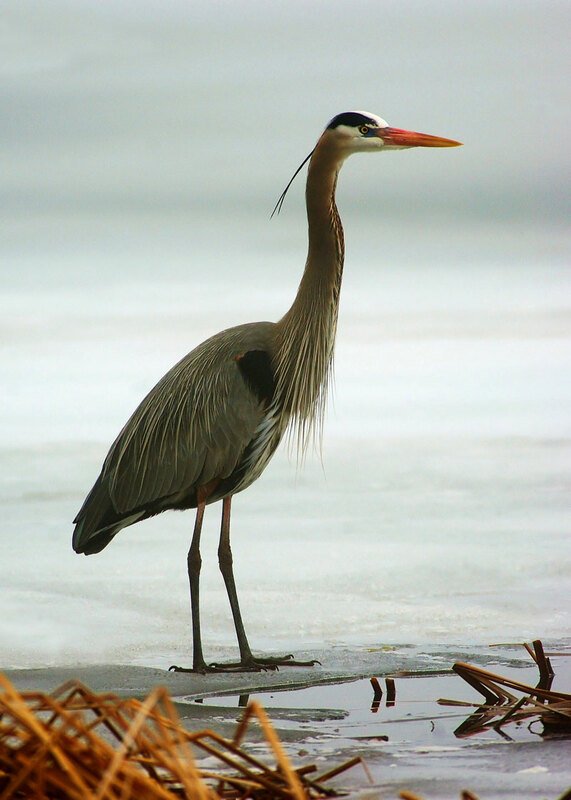 In others, the herons sleek their plumage, extend their necks forward, and tilt their heads from side to side so that they may look upwards, a posture they often use when predators and herons fly over the foraging grounds. Sometimes, a heron will thrust its beak at an opponent, and during some displays, “bill duels” erupt when opponents try to grab each other’s head. Another set of displays occurs when a mate returns to the nest. The arriving bird often greets the mate using a particular call, and the bird on the nest responds with one of a number of displays. Sometimes, the male brings sticks to the female on the nest. The female performs a display and takes the sticks, and the male then taps the female’s bill from side to side while she places the sticks in the nest. The Great Blue Heron has the widest distribution in Canada of all herons: it ranges from the Maritime provinces in the east across southern Canada to the Pacific Ocean, and north along the entire length of the British Columbia Pacific coast to Alaska’s Prince William Sound in the west (see map). 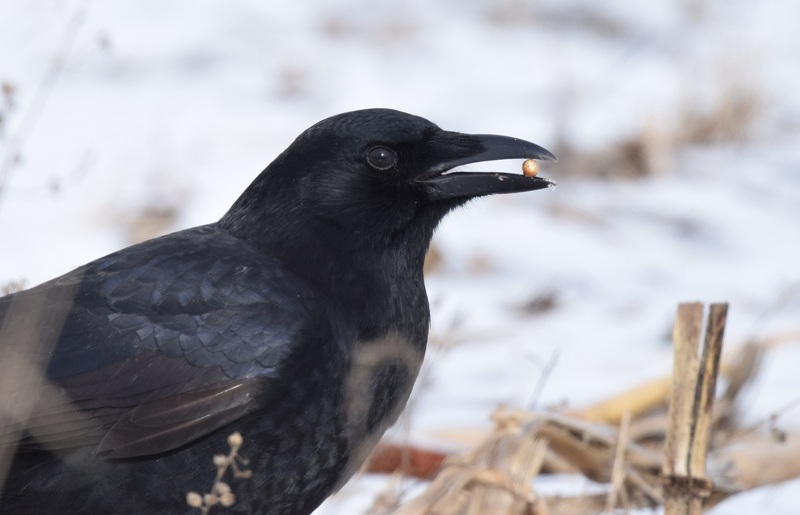 While it breeds in all provinces except Newfoundland and Labrador, this bird spends the winter in Canada only on the British Columbia coast and in parts of the Maritime provinces. 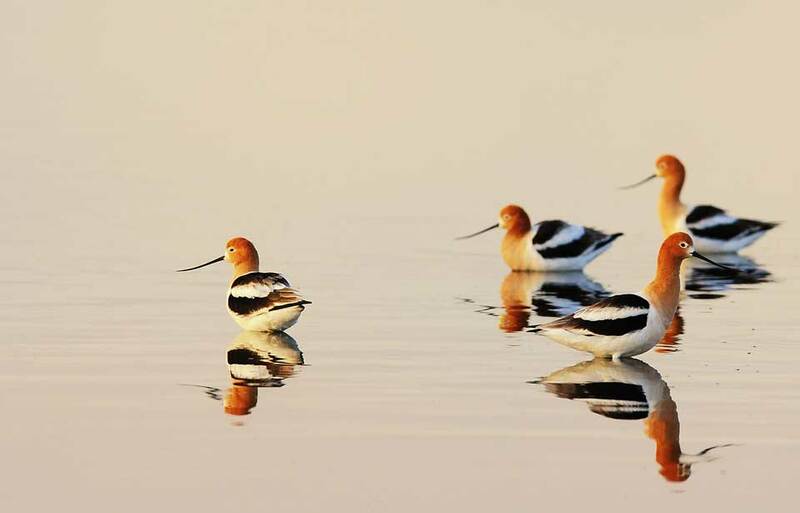 Most birds move south for the winter, and banded birds from Canada have been found in Mexico, Honduras, and Cuba. 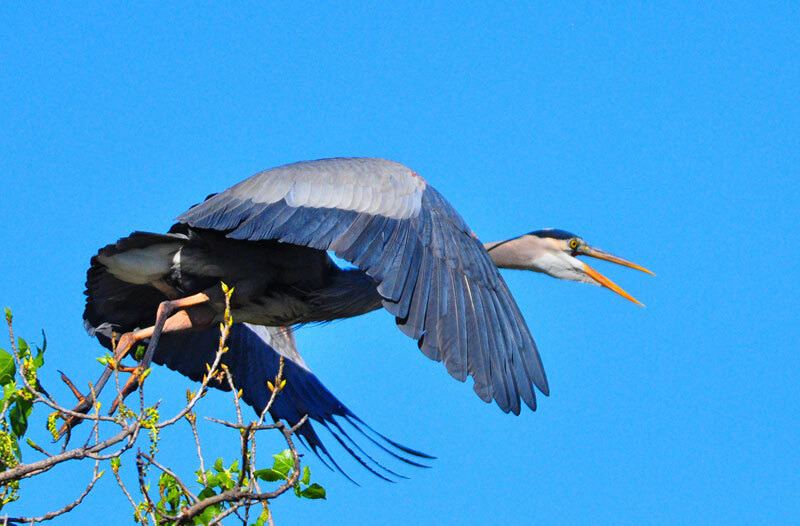 Colonies of Great Blue Herons are also found in Colombia, Venezuela, and Ecuador’s Galapagos Islands. 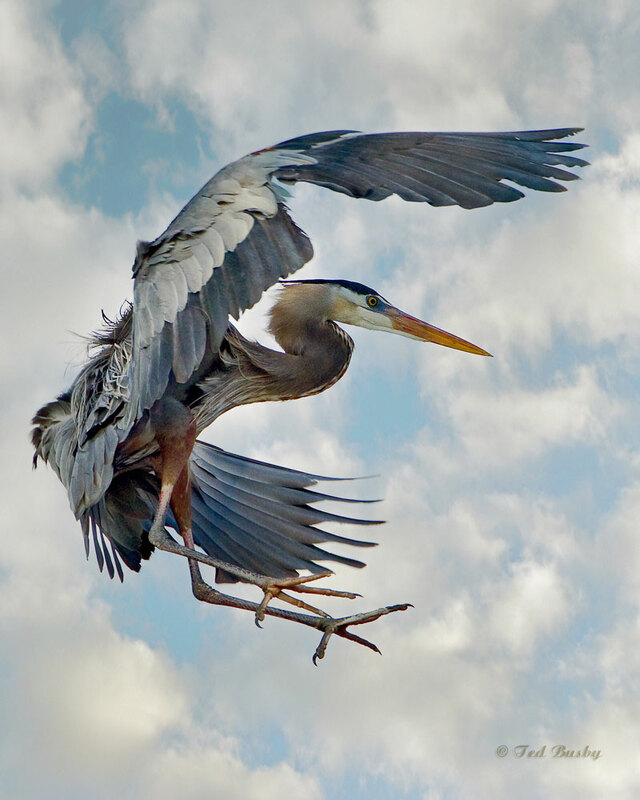 Great Blue Herons migrate alone or in groups of three to 12 and sometimes up to 100. They travel day and night. 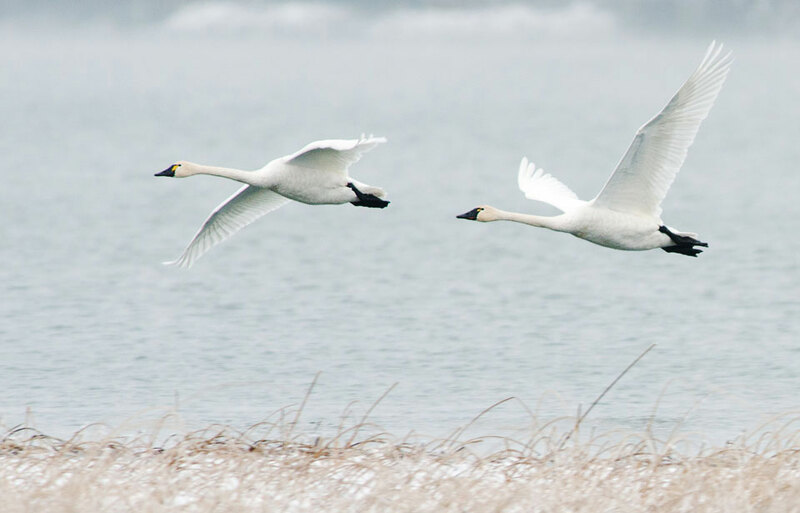 Spring migrants return to most Canadian locations in April. 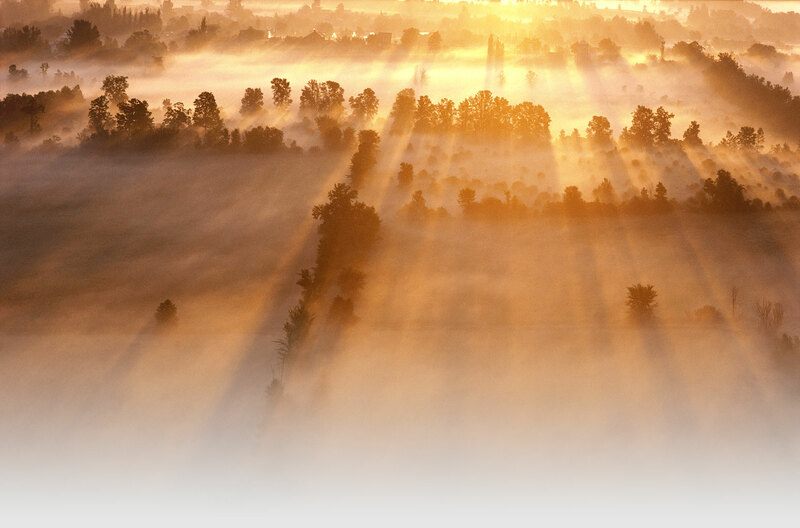 Some fly north in summer to arctic Alaska, southern Yukon, and northern Manitoba, Ontario, and Quebec. They migrate south from mid-September to late October. 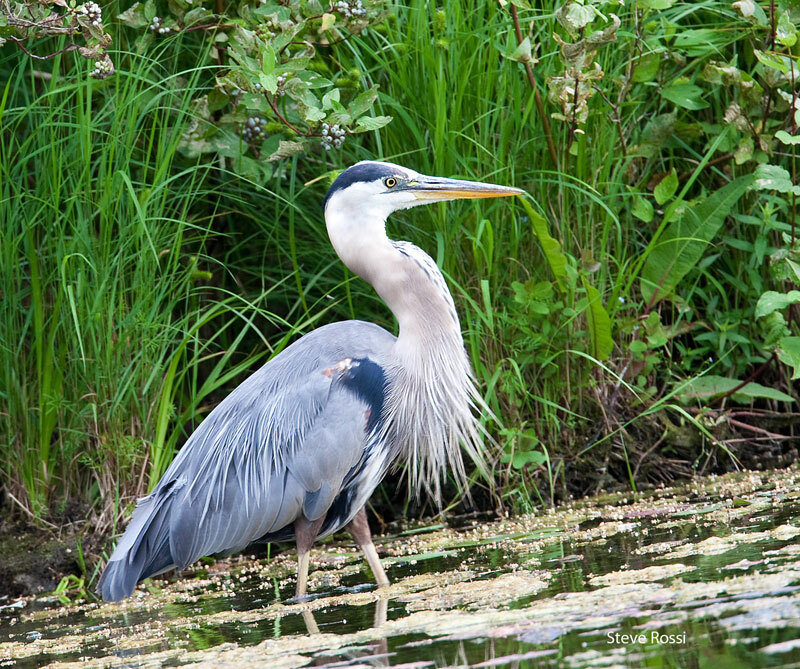 The Great Blue Heron feeds mostly in calm freshwater and along seacoasts. 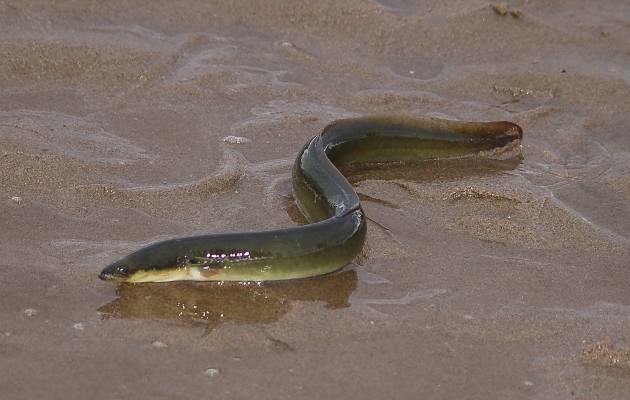 Occasionally, it finds its food in surf and in fields. 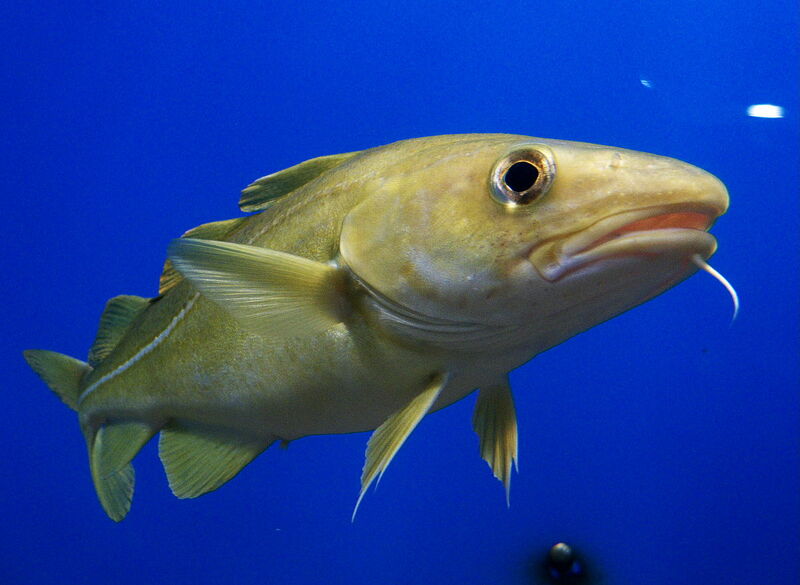 Its main food is small fish less than half the length of its bill, or under 65 mm long. 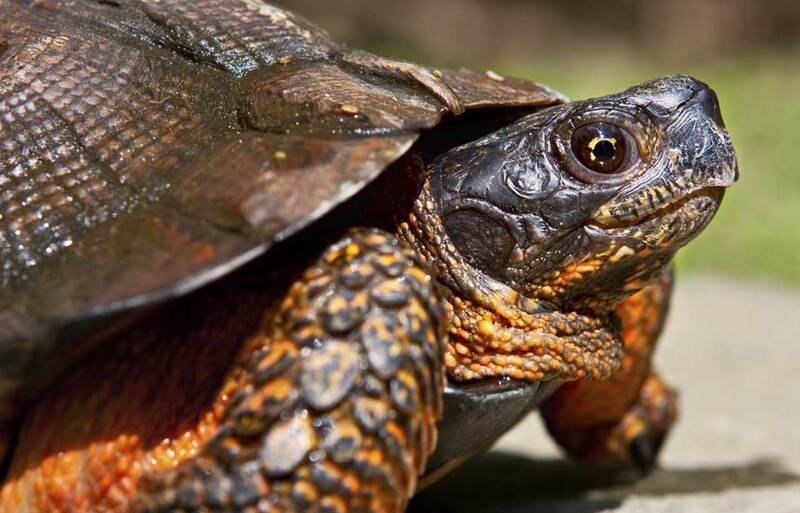 On occasion, it also eats shellfish, insects, rodents, amphibians (mostly frogs), reptiles, and small birds. 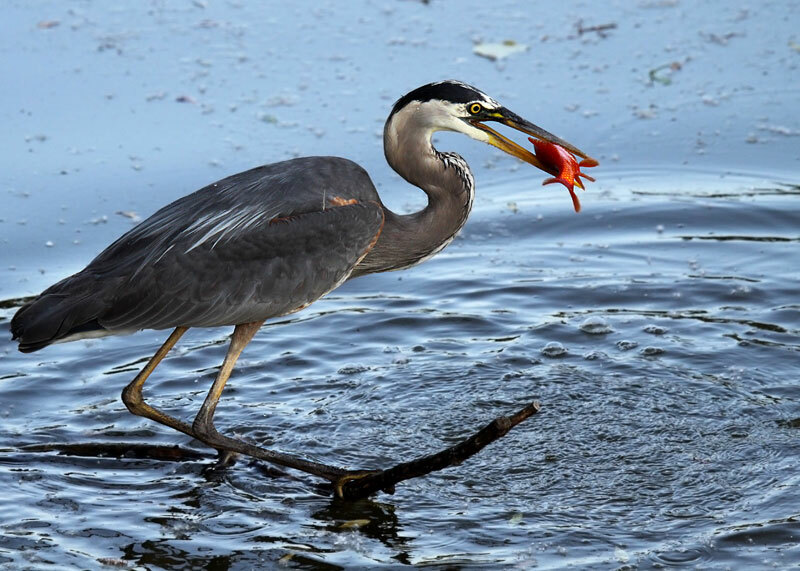 The Great Blue Heron has two principal fishing techniques. 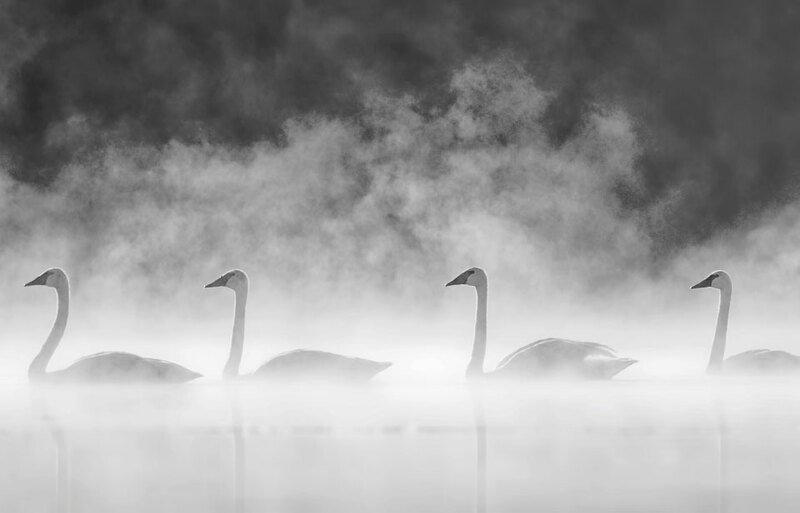 The first consists of standing motionless, its neck extended at an angle of about 45 degrees to the water’s surface. Only the head and eyes move to locate the prey. If no fish comes within range after a few minutes, the heron gradually moves a short distance away and takes up a similar position. When a potential meal comes close enough, the heron slowly folds its neck back and moves one leg in the direction of the prey. 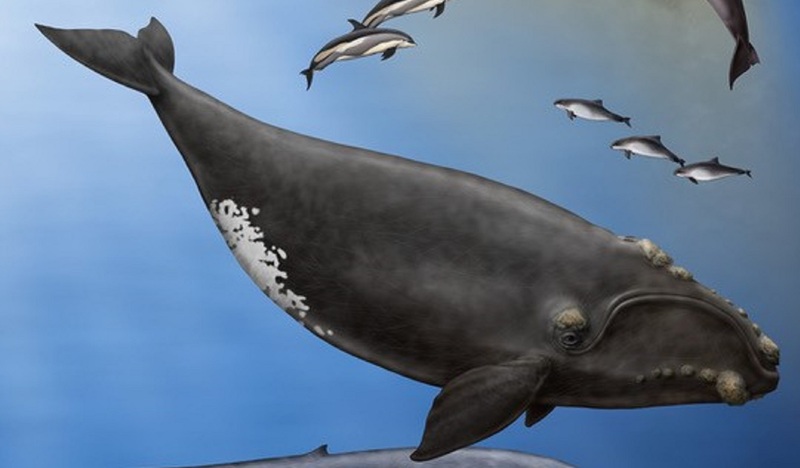 Suddenly, its entire body unbends, its head plunges into the water, it catches the prey in its bill, and it swallows it outside the water, using a deft movement of the head to drop the prey headfirst into its gullet. 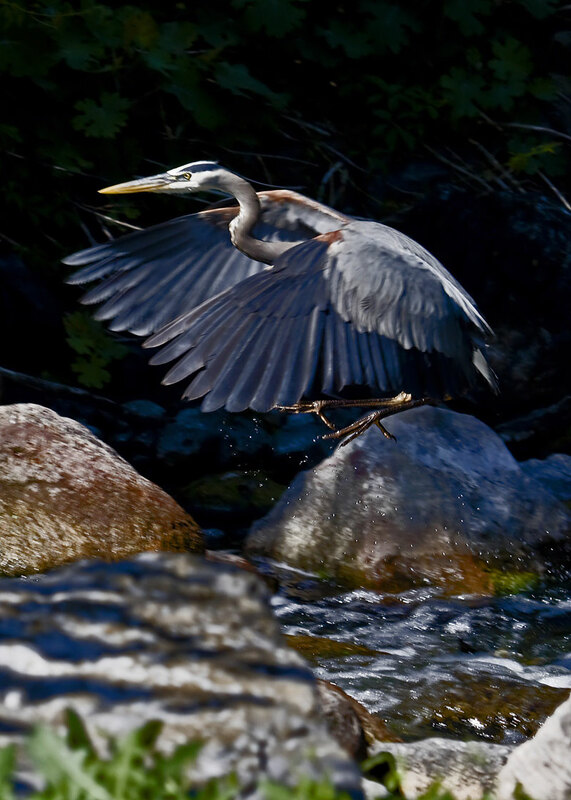 Using the second technique, the heron slowly wades around in about 15 to 25 cm of water until it drives a fish out from a hiding place. The heron then stops and slowly stretches its neck. When the prey is within range, the bird uncoils its body and thrusts its head into the water in pursuit. When it has eaten the catch, the heron resumes its walk. 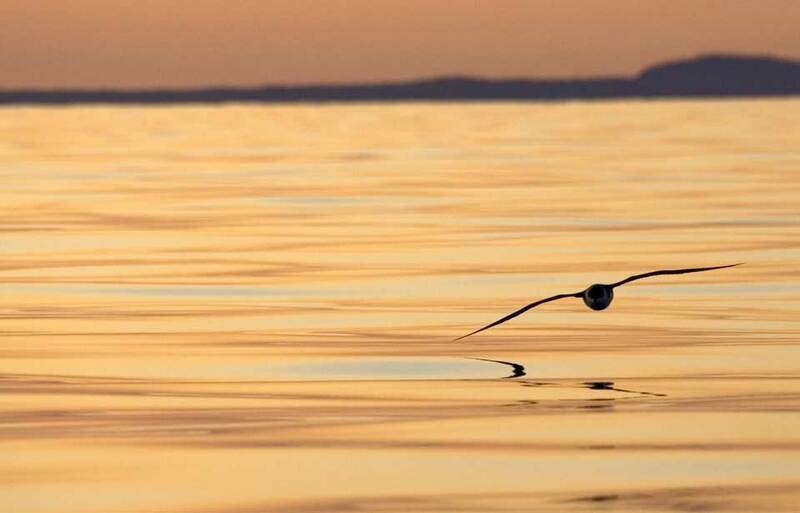 Should the bird fail to find sufficient fish in an area, it flies a short distance away and resumes fishing. 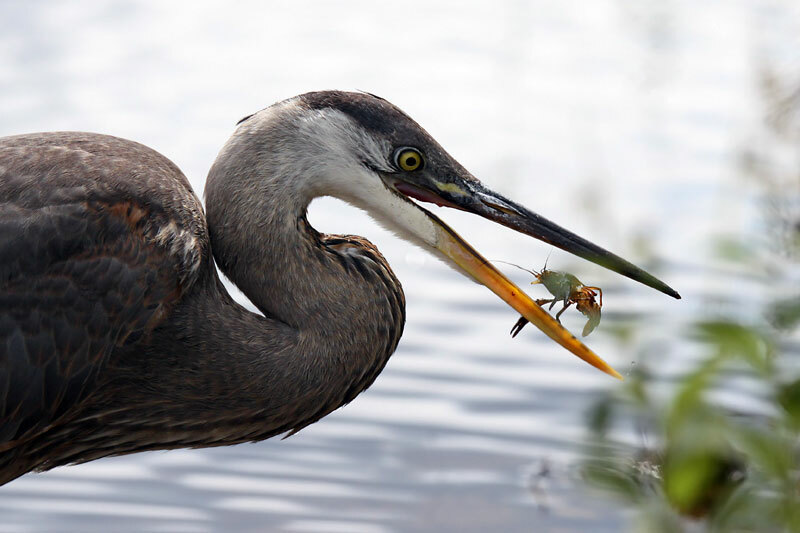 When captured prey is too large to be gulped down immediately or has dangerous spines, the heron drops the prey back into the water and grabs hold of it repeatedly and violently with its beak until the catch is dazed or the spines snap. Then it can be swallowed more easily. Sometimes two fish are caught simultaneously. Other techniques are observed, but more rarely: for example, Great Blue Herons in flight sometimes dive underwater to catch fish; others hover over the water and submerge their heads to catch fish; and some swim in deep water and feed on fish found near the surface. 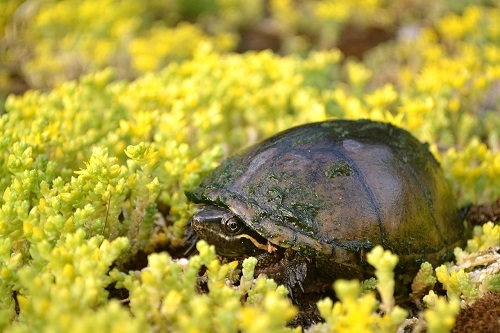 In the spring, males and females reach the nesting grounds at about the same time, as soon as local water courses have thawed, in late February in western Canada and late March in eastern Canada. 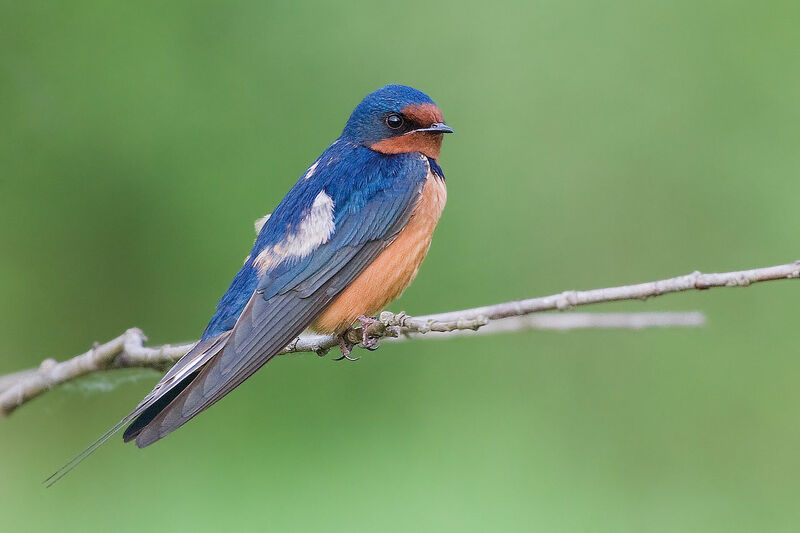 The nesting area is generally located in woodlands that are within a few kilometres of the birds’ main feeding area and relatively inaccessible to humans and land predators. Males choose the nesting spot, usually settling where there are nests from former years. Each male then defends his territory in the tree where he plans to build a new nest or restore an old one. From that site, males put on grand displays and shriek loudly when females approach them. The birds first mate at two years of age, and they choose new mates each year. They mate almost immediately upon arrival. The building of the nest soon follows. 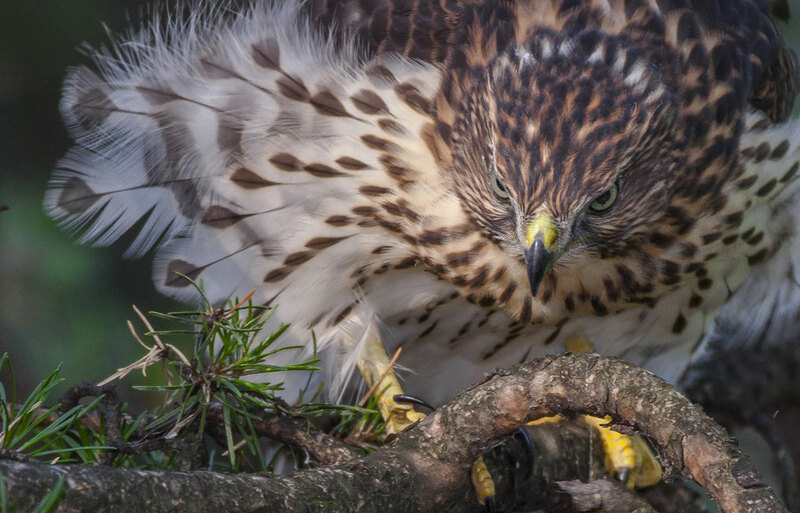 The male gathers nest-building materials around the nest site, from live or dead trees, from neighbouring nests, or along the ground, and the female works them into the nest. 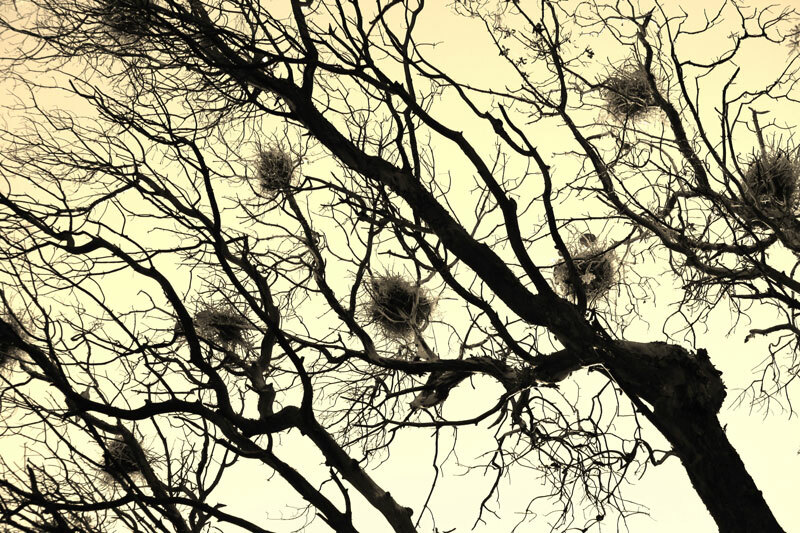 Recently built nests look like delicate platforms of interlaced dry branches, and older nests are bulky structures of different sizes. 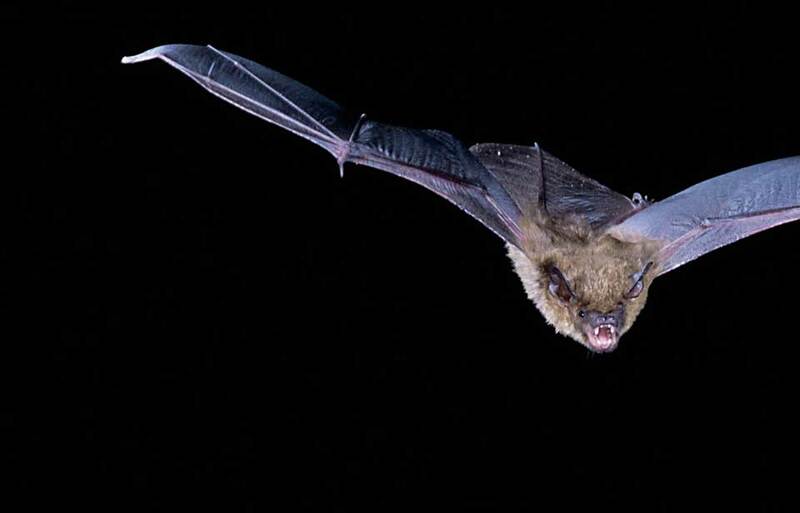 Usually, nests are about 1 m in diameter and have a central cavity 10 cm deep with a diameter of 30 cm. The herons sometimes line this internal cavity with twigs, moss, lichens, or conifer needles. Ordinarily, a pair takes less than a week to build a nest solid enough for eggs to be laid and incubated. Twigs are added mostly before the eggs are laid, but also when they hatch. 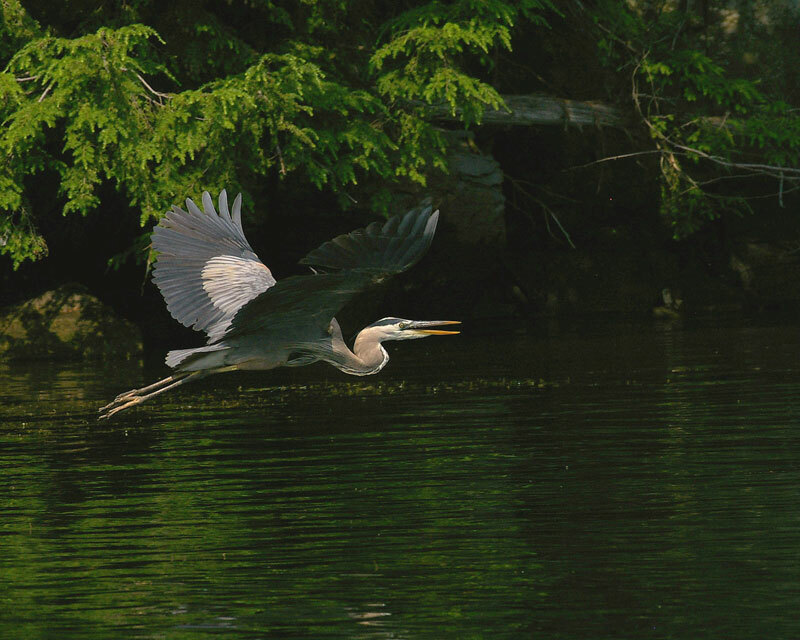 In Canada, most herons lay from three to five eggs in April. Incubation, or warming of the eggs, starts with the laying of the first or second egg and lasts about 28 days. It is shared by both partners: the male incubates during the day and the female at night. 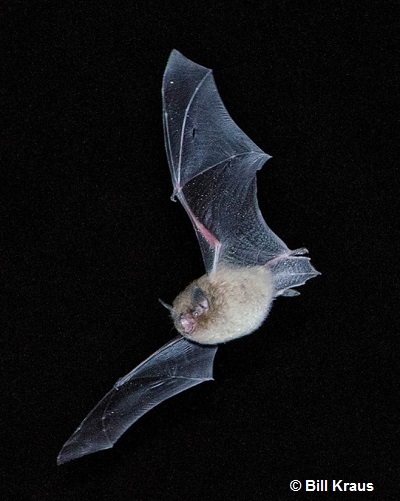 Eggs usually hatch during the time when food is most abundant in the area. The parents immediately begin to feed their young, and keep them warm, or brood them, continually for the first week. The adults brood less after that, but for the next week or two, one adult remains at the nest almost without break: during the day, the male watches the nest while the female hunts for food; at night the roles are reversed. By about the third or fourth week, both parents begin to leave the chicks unguarded to search for food in the neighbourhood. 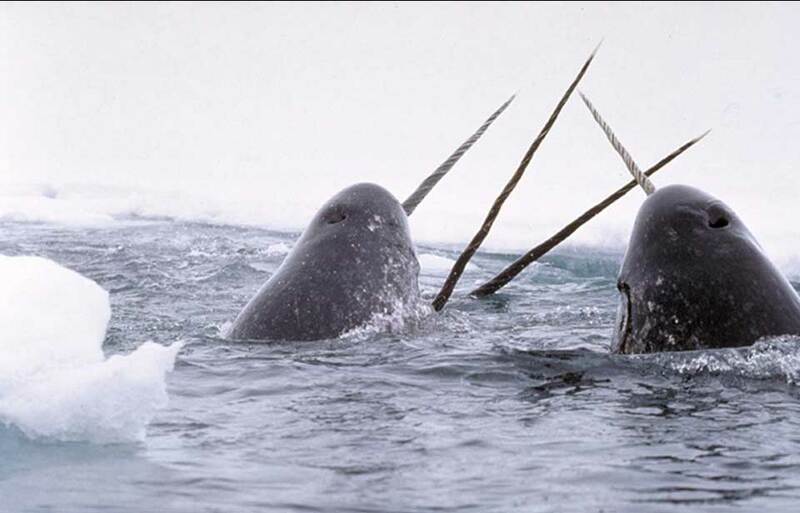 After the first month, the pair spends most of its time outside the colony, returning only to feed the young and stand watch for short periods. Feeding is a raucous affair. An adult arriving at the heronry usually gives a dull guttural cry. The young cry constantly and grab at each others’ bills. The adult rarely flies straight to them, perching instead a few metres from the nest. After about five minutes, the adult goes to the nest and regurgitates predigested food. The oldest and largest chicks take the lion’s share by grasping the adult’s bill and catching the food before it reaches the nest floor. If the food supply is not sufficient to satisfy the growing appetites of all the nestlings, only the strongest will survive. Puny members of the brood weaken progressively and often end up falling from the nest, pushed aside by others eager for space to stretch their wings. On the ground, they are doomed to starve, because the parents will not feed young outside the nest. Young herons develop rapidly. At two weeks, between periods of sleep, they may clean their plumage, stand upright with their wings half-opened, or vibrate their elastic throat membranes in order to cool themselves. At six weeks, they no longer sleep much during the parents’ absence; instead, they prepare for their initial flight. They walk along the branches surrounding the nest, jump while beating their wings, or grasp a branch with their claws and try to raise it with the power of their wing beats. At eight weeks of age, the young fly clumsily from one tree to another, but always return to the nest to be fed. 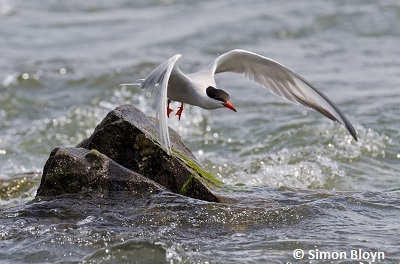 Often a young bird will go to the wrong nest, which leads to fighting between the occupants and the intruder. The intruder is likely to be more developed than the others and thus manages to stay in the nest, sometimes after pushing one of its inhabitants to the ground. In such cases, the intruder is eventually chased off by a returning adult. At about 10 weeks the young herons leave their nest for good and are independent of their parents. From one to four chicks are raised, with two or three being most common. 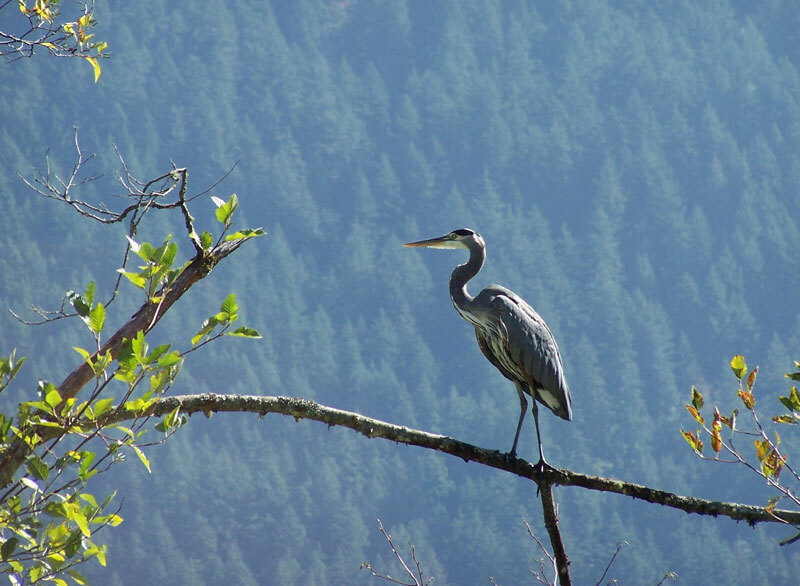 Adult Great Blue Herons have few natural enemies. 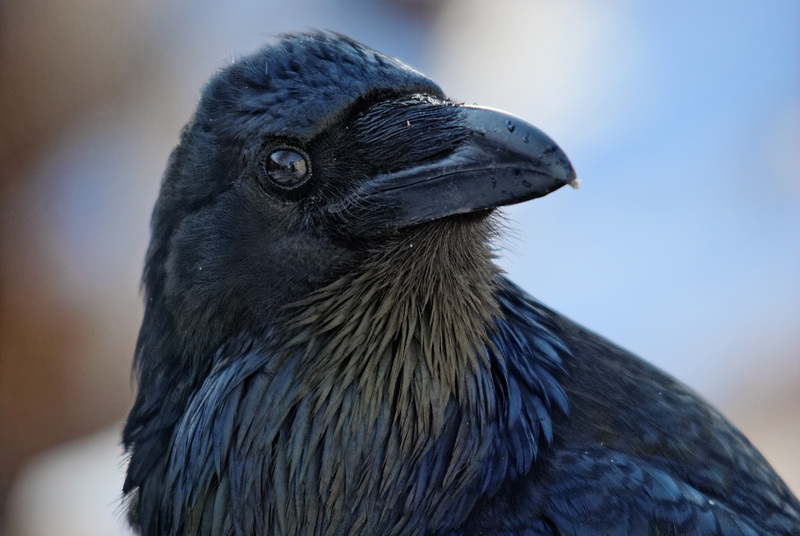 Eagles occasionally attack them, and crows, ravens, gulls, birds of prey, and raccoons prey upon the eggs and young; mortality of the young is high, but often for reasons other than predation. 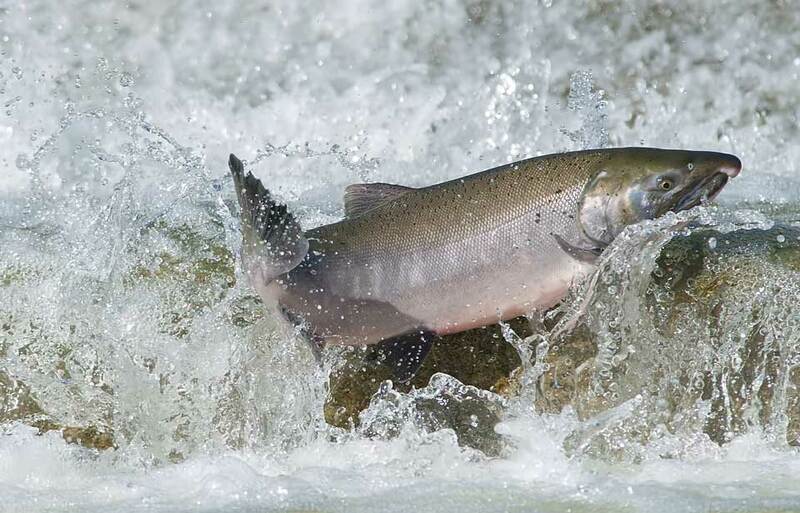 Heavy rains and cold weather at the time of hatching take a substantial toll. Also, when food is scarce, the weakest young birds often do without and waste away. Pesticides are suspected of causing reproductive failures and deaths, although data obtained up to this time suggest that toxic chemicals have not caused any decline in overall population levels. In the past, hunting caused many heron deaths. Today, a frequent reason for nesting failures is disturbance by eagles and humans; herons are particularly sensitive to disturbance while nesting. Scientists suggest that, as a general rule, there should be no development within 300 m of the edge of a heron colony and no disturbance in or near colonies from March to August. 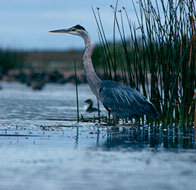 Draining of marshes and destruction of other favourite haunts is a serious threat to the Great Blue Heron’s survival. 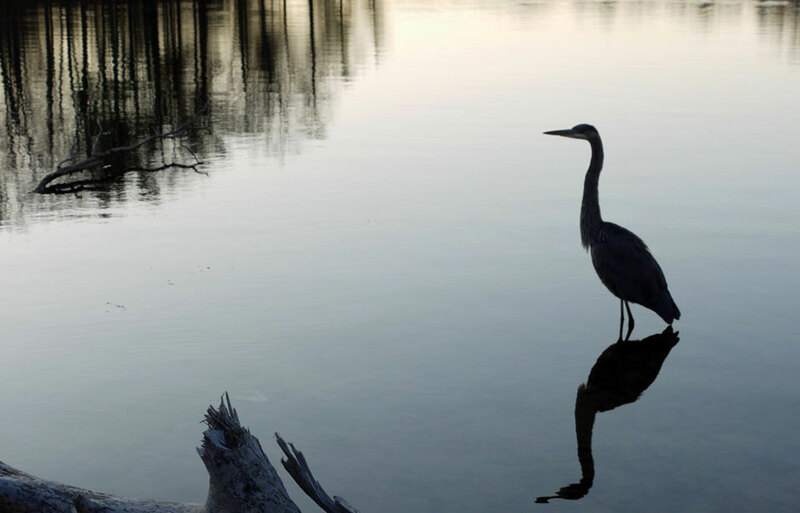 The number of herons breeding in an area is directly related to the amount of feeding habitat available to them. 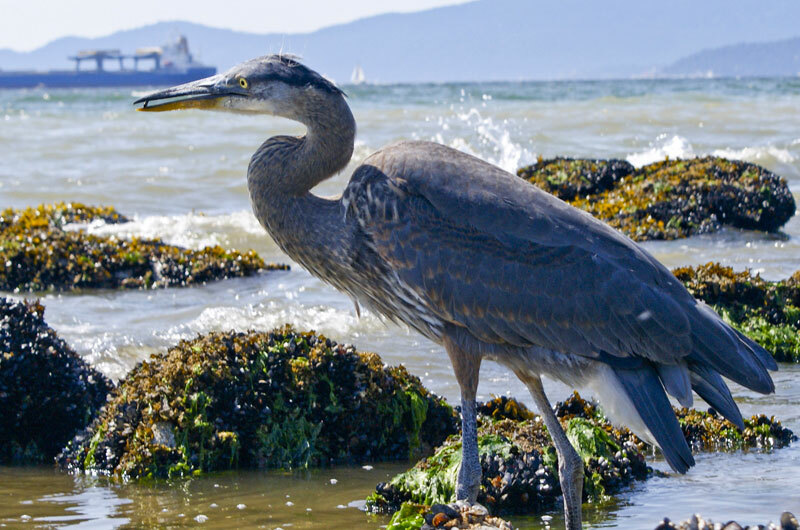 The Committee on the Status of Endangered Wildlife in Canada has assessed the coastal "Pacific" subspecies of Great Blue Heron as a species of special concern. Overall, the Great Blue Heron population is healthy. 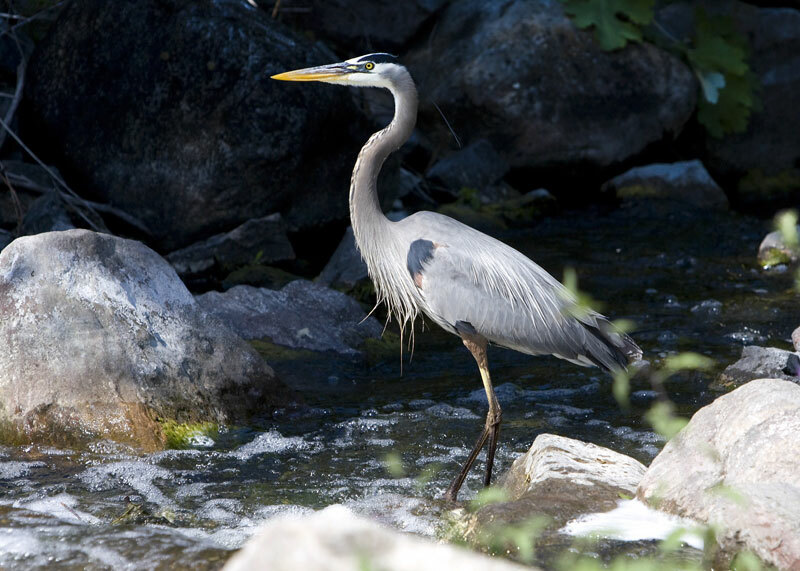 Scientists estimate that there are tens of thousands of Great Blue Herons in Canada. Butler, R. W. 1992. Great Blue Heron (Ardea herodias). In The Birds of North America, no. 25. A. Poole, P. Stettenheim, and F. Gill, editors. The Academy of Natural Sciences, Philadelphia; The American Ornithologists’ Union, Washington, D.C.
DesGranges, J. L. 1996. Great Blue Heron. 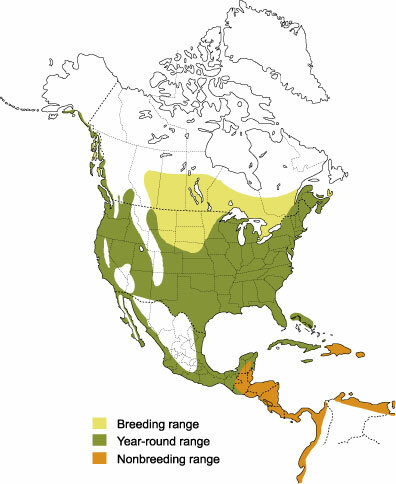 In The Breeding Birds of Québec: Atlas of the Breeding Birds of Southern Québec. J. Gauthier and Y. Aubry, editors. Association québécoise des groupes d’ornithologues, Province of Quebec Society for the Protection of Birds, Canadian Wildlife Service, Québec Region, Environment Canada, Montréal. Godfrey, W. E. 1986. 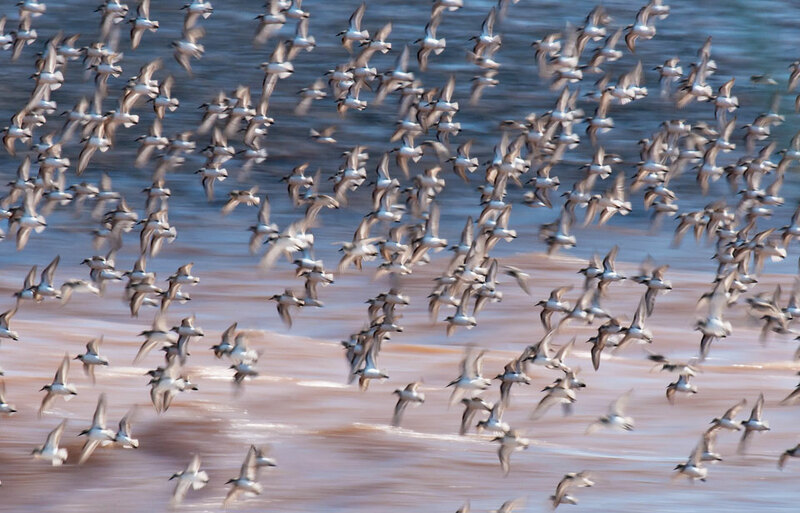 The birds of Canada. Revised edition. National Museums of Canada, Ottawa. Hancock, J., and J. A. Kushlan. 1984. The herons handbook. Harper and Row, New York. Palmer, R. S. 1962. Handbook of North American birds. Volume 1. Yale University Press, New Haven, Connecticut. © Her Majesty the Queen in Right of Canada, represented by the Minister of the Environment, 1979, 1990, 2003, 2005. All rights reserved.